Here we’ve installed a Novoroll 77 manufactured by Novoferm. 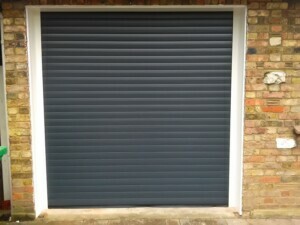 This roller door is fully finished in a powder coat – this customer chose Anthracite Grey. This door has a foam core and came complete with radio remote controls including two hand transmitters and internal wall mounted control panel which includes a light. There is a coil wired safety edge ensuring that the door rolls back up should it touch something on its way down. 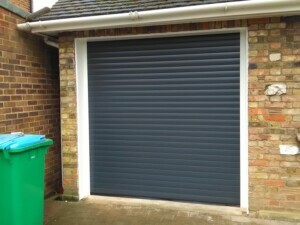 The customer had no other access to their garage so an external manual emergency release device was fitted. To suit the customer’s property white reveals, guide tracks and a full box hood have been installed.